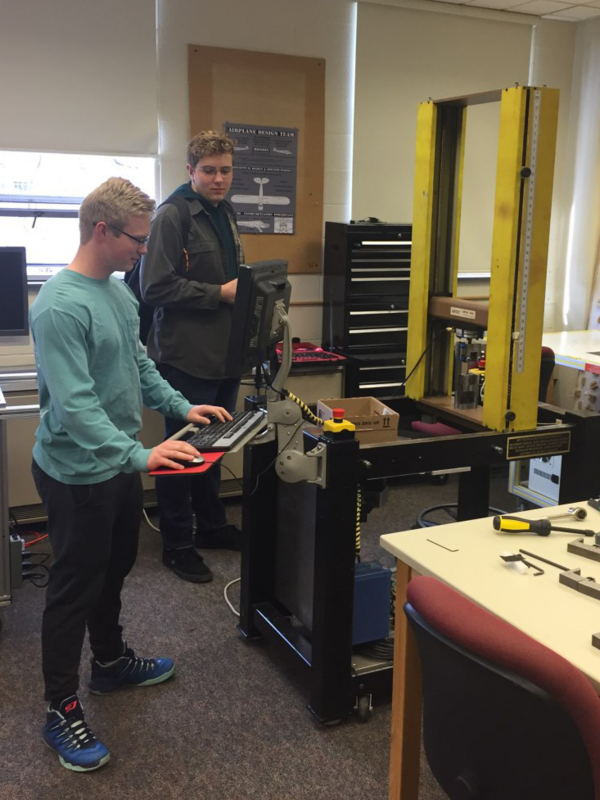 Did you know that mechanical engineering is the most popular major offered at Grove City College? The program has long been recognized by U.S. News and World Report for providing an outstanding education. The Department of Mechanical Engineering prepares students to excel in careers such as engineering research, design, manufacturing, production, sales, and management as well as top graduate and professional programs. 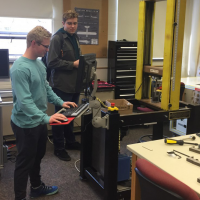 One of the practical methods the department uses to cultivate important engineering skills is the design projects that are worked on for the entirety of a student’s senior year. Dr. Vern Ulrich oversees the senior design projects in addition to his professorial duties. I recently had the pleasure of sitting down with him and discussing the senior design projects happening this year. For the 2017 – 2018 school year, there are 59 mechanical engineering seniors divided among nine projects. The specifics of the projects range from designing an HVAC (heating, ventilation, and air conditioning) system for the chapel while maintaining the architecture of the building to designing and eventually constructing a small airplane. Dr. Ulrich shared with me that ideally, he would love for a senior design project to be a stepping stone for someone’s dream career. This shines through as students’ interests are given a lot of consideration when determining senior projects and student teams. Dr. Ulrich reported that two projects were cut this year because there was simply not enough interest. Although the senior design projects may seem daunting, there is much intentional thought and prayer throughout the process. The collaborating professors work with the students students in order to ensure success and the efficient completion of the project. Many students report that the senior design projects are their favorite component of the program, truly preparing them for a future in the field.